[S1461] Jacquelyn Ladd Ricker, The Ricker Compilation, Stratford VR, John Brooks b.; d.
[S1121] Public Records of the Colony of Connecticut, 1636-1776, 15:488. [S1461] Ricker Compilation, Stratford VR, John Brooks/Ann Sherwood m.
[S698] Donald Lines Jacobus, Old Fairfield, 1:104. [S1045] Spencer P. Mead, Probate Records of Fairfield County, 9:308. [S1121] Public Records of the Colony of Connecticut, 1636-1776, 13:225. [S932] Conway and Scott, Colonial New Haven Newspapers, 361, Connecticut Journal, 25 Dec 1772; 367, 5 Feb 1773. [S932] Conway and Scott, Colonial New Haven Newspapers, 362, Connecticut Journal, 25 Dec 1772; 370, 5 Mar 1773. [S1121] Public Records of the Colony of Connecticut, 1636-1776, 13:602; 14:33, 102, 179, 182, 353. [S932] Conway and Scott, Colonial New Haven Newspapers, 417, Connecticut Journal, 25 Feb 1774. [S932] Conway and Scott, Colonial New Haven Newspapers, 421, Connecticut Journal, 25 Feb 1774. [S148] FindAGrave.com, memorials #11231050, #20833998. [S932] Conway and Scott, Colonial New Haven Newspapers, 312, Connecticut Journal, 11 Oct 1771; 380–81, 21 May 1773. [S1121] Public Records of the Colony of Connecticut, 1636-1776, 13:414, 420, 512, 577; 14:72, 77, 258; 15:10, 278. [S1461] Ricker Compilation, Stratford VR, John Brooks b. [S1461] Ricker Compilation, Stratford VR, Lemuel Brooks b. [S1461] Ricker Compilation, Stratford VR, Ann Brooks b. [S1461] Ricker Compilation, Stratford VR, Benjamin Brooks b. [S1461] Ricker Compilation, Stratford VR, Joseph Brooks b. [S1461] Ricker Compilation, Stratford VR, Isaac Brooks b. [S1461] Ricker Compilation, Stratford VR, Abijah Brooks b. [S1461] Ricker Compilation, Stratford VR, William Brooks b. [S562] Barbour Collection, Stratford, Eli Brooks b., d.
[S1461] Ricker Compilation, Stratford VR, Mary Brooks b. [S1461] Jacquelyn Ladd Ricker, The Ricker Compilation, Stratford VR, Benjamin Brooks b. [S1461] Ricker Compilation, Stratford VR, Benjamin Brooks/Elizabeth Lewis m.
[S1461] Ricker Compilation, Stratford Episcopal Cemetery, Elizabeth Brooks d.
[S1555] Rev. Samuel Orcutt, History of Stratford and Bridgeport, 1165, Benjamin (11.) Brooks. [S1790] 1790 U.S. Census, Stratford, Fairfield, CT, M637/1/226, Benjamin Brooks. [S59] Connecticut Courant, 7 Nov 1810, Deaths. [S1461] Jacquelyn Ladd Ricker, The Ricker Compilation, Stratford VR, Abijah Brooks b. [S148] FindAGrave.com, memorial #118639787, citing NSDAR 28th-35th Annual Reports. [S1461] Ricker Compilation, Stratford VR, Abijah Brooks/Sarah Selene Wetmore m.
[S1790] 1790 U.S. Census, Stratford, Fairfield, CT, M637/1/226, Abijah Brooks. [S59] Boston Gazette, 17 Jan 1813, Deaths. 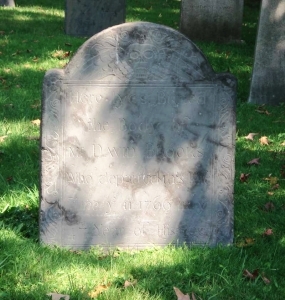 [S1461] Ricker Compilation, Stratford VR, Sarah Selena/Selena Ann Brooks d.
[S1461] Ricker Compilation, Stratford VR, Abijah Brooks/Elizabeth Sherman m.
[S59] Connecticut Courant, 5 Jun 1826, Deaths. [S1461] Ricker Compilation, Stratford VR, Elizabeth Brooks d.
[S59] Connecticut Courant, 14 Apr 1829, Deaths. [S1555] Rev. Samuel Orcutt, History of Stratford and Bridgeport, 1165, Abijah (14.). [S148] FindAGrave.com, memorials #118639787, #148096309, #148096308. [S1461] Ricker Compilation, Stratford VR, Asa Brooks b.; d.
[S1461] Ricker Compilation, Stratford VR, Phebe Selena Brooks b.; d.
[S1461] Ricker Compilation, Stratford VR, David Burr Brooks b.; d.
[S1461] Ricker Compilation, Stratford VR, Major Abijah Brooks b. [S1461] Jacquelyn Ladd Ricker, The Ricker Compilation, Stratford VR, Ann Brooks b. [S1461] Ricker Compilation, Stratford VR, Anna Brooks/John Benjamin 3rd m.
[S703] Jean McKee, citing Benjamin family history m.s. at Connecticut State Library, page B6. [S1461] Ricker Compilation, Milford VR, wid. Anna Benjamin d.
[S1461] Ricker Compilation, Stratford VR, Catharine Benjamin b. [S1461] Ricker Compilation, Stratford VR, Anna Clarrissa Benjamin b. [S1461] Ricker Compilation, Stratford VR, John Benjamin b. [S1461] Ricker Compilation, Stratford VR, Lucretia Benjamin b. [S1461] Ricker Compilation, Stratford VR, Peter Woodward Benjamin b. [S1461] Ricker Compilation, Stratford VR, DeLucena Benjamin b. [S1461] Jacquelyn Ladd Ricker, The Ricker Compilation, Stratford VR, Isaac Brooks b. [S1461] Ricker Compilation, Stratford Episcopal Cemetery, Isaac Brooks g.s. [S1555] Rev. Samuel Orcutt, History of Stratford and Bridgeport, 1165, Isaac (13.). [S1790] 1790 U.S. Census, Stratford, Fairfield, CT, M637/1/227, Isaac Brooks. [S1461] Ricker Compilation, Stratford Cemetery, Isaac Brooks g.s. [S1461] Jacquelyn Ladd Ricker, The Ricker Compilation, Stratford VR, John Brooks b. [S1461] Ricker Compilation, Stratford VR, John Brooks Jr./Dorothy Birdsey m.
[S1283] Unknown author, "A Record of the Birdseye Family." [S1461] Ricker Compilation, Stratford Cemetery, John Brooks g.s. [S1555] Rev. Samuel Orcutt, History of Stratford and Bridgeport, Genealogies, 1165, John (8.). [S1461] Ricker Compilation, Stratford VR, Nathan Birdsey Brooks b. [S1461] Ricker Compilation, Stratford VR, Dorothy Brooks b. [S1461] Ricker Compilation, Stratford VR, Theodosia Brooks b.; d.
[S1461] Ricker Compilation, Stratford VR, David Brooks b. [S1461] Ricker Compilation, Stratford, Theodosia Brooks b. [S1461] Ricker Compilation, Stratford VR, Esther Brooks b. [S1461] Ricker Compilation, Stratford VR, Eli Brooks b.; d.
[S1461] Jacquelyn Ladd Ricker, The Ricker Compilation, Stratford VR, Joseph Brooks b. [S1555] Rev. Samuel Orcutt, History of Stratford and Bridgeport, 1165, Joseph (12.). Their son Lemuel (Jr.) filed his own declaration the same day, in support of his mother's claim, adding considerably more detail. [S1461] Jacquelyn Ladd Ricker, The Ricker Compilation, Stratford VR, Lemuel Brooks b. [S1205] Lemuel Brooks, Revolutionary pension file M805/125/16/R1248. [S1461] Ricker Compilation, Norwalk VR, Lemuel Brooks/Hannah Raymond m.
[S1790] 1790 U.S. Census, Norwalk & Stamford, Fairfield, CT, M637/1/305, Lemuel Brooks. [S1461] Ricker Compilation, Norwalk VR, Hannah Brooks b. [S1461] Ricker Compilation, Norwalk VR, Lemuel Brooks b. [S1461] Ricker Compilation, Norwalk VR, Henry Brooks b.; d.
[S1461] Ricker Compilation, Norwalk VR, Benjamin Brooks b. [S1461] Ricker Compilation, Norwalk VR, Anne Brooks b. [S1461] Ricker Compilation, Norwalk VR, Esther Brooks b. [S1461] Ricker Compilation, Norwalk VR, George Brooks b. [S562] Barbour Collection, Norwalk, Eli Brooks b., d.
[S1461] Ricker Compilation, Norwalk VR, Charles Brooks b. [S1461] Ricker Compilation, Norwalk VR, Mary Bowden Brooks b.
Findagrave.com, memorial #20916313. Photo by Jan Franco. [S562] Barbour Collection, Stratford, David Brooks b. [S1461] Jacquelyn Ladd Ricker, The Ricker Compilation, Stratford VR, Dauid Brooks b. [S1461] Ricker Compilation, Episcopal Cemetery, Stratford, Dauid Brooks g.s. [S1461] Ricker Compilation, Stratford Episcopal Cemetery, Anne Brooks g.s. [S1461] Ricker Compilation, Stratford Episcopal Cemetery, Dauid Brooks g.s., Anne Brooks g.s. [S148] FindAGrave.com, memorials #20916313, #20916279. [S1461] Ricker Compilation, Stratford VR, Nathan Brooks b.; d.
[S1461] Ricker Compilation, Stratford VR, Catharine Brooks b. [S1461] Ricker Compilation, Stratford Cemetery, Ann Brooks g.s. [S1555] Rev. Samuel Orcutt, History of Stratford and Bridgeport, Genealogies, 1165, David (4. ), Anne (23. ).